Radon levels vary from house to house. The only way to know if your home has high levels of radon is with testing. Radon is an invisible, odorless gas that can have a big impact on the air quality in your home. Radon is responsible for lung cancer deaths in Delaware & E. Shore Maryland and all over the United States. Testing is the only way to know if you and your family are at risk from radon exposure. Radon testing is easy and affordable, and Lawson Home Services offers several options for testing. If a radon problem is found in your home, we can provide safe mitigation to reduce the levels in your home. If you have questions about radon testing or mitigation, or you'd like to schedule an in-home consultation, call us at 1-833-397-0163 or click below. Radon is a radioactive gas that comes from the natural decay of uranium and is found in nearly all soils. Radon moves up through the ground and into your home through cracks and openings in the foundation. Your home then traps the radon inside, where it can build up. Studies have shown that prolonged exposure to radon can significantly increase your potential for lung cancer. Any home can have a radon problem, including new and old homes, well-sealed and drafty homes, and homes with basements, crawl spaces and slab-on-grade foundations. Luckily, a radon problem is easy to fix and Lawson Home Services offers effective systems and professional installation. Radon is found in both new and old homes and buildings. Radon can be found in homes built on all types of foundations, including slab-on-grade basements. Homes with crawl spaces have a high risk for radon issues. Radon can contaminate well water. Radon can be found in one house and not in the one next door. Lawson Home Services's radon mitigation system uses sub-slab depressurization to reduce radon levels. As a full-service radon mitigation contractor, Lawson Home Services can install a radon mitigation system that is compatible with the current waterproofing system in your basement or crawl space. 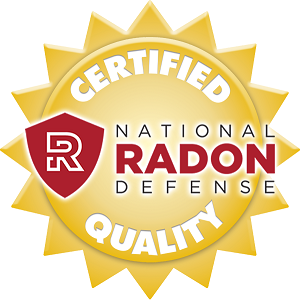 We provides multifamily radon mitigation in compliance with the HUD Radon Policy. If testing confirms radon levels above 4 picocuries (pCi/L), mitigation must be performed by a radon professional reduce the level of radon gas in the air to a safe amount. For radon testing or a radon mitigation cost estimate, contact Lawson Home Services today for help in Newark, Salisbury, Middletown, Easton, Hockessin, Claymont, Berlin or nearby.